TRANSPENNINE Express (TPE) is delaying the introduction of its ‘Nova 3’ loco-hauled sets until next May. The sets are being built by CAF in Spain and will be hauled by Class 68s sub-leased from DRS. They had been expected to be progressively introduced from the December timetable change, but acceptance testing has produced a technical issue which prevents the sign-off of the trains. TPE has not alluded to the problem, but The RM understands it relates to ‘brake blending’ between the Class 68 and five-carriage rakes, one industry source saying the braking was too severe. A ‘Nova 3’ and Class 68 on test at Deansgate, Manchester. Once in service, the ‘Nova 3’ trains will operate between Liverpool, Manchester, Huddersfield, Leeds, York, Scarborough and Middlesbrough. 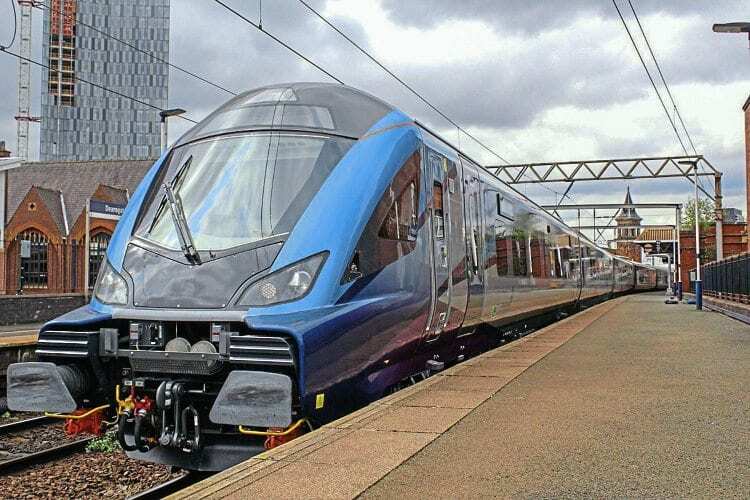 TPE says it is still on course to introduce the Hitachi-built ‘Nova 1’ EMUs between Liverpool, Manchester, Newcastle and Edinburgh, and also the CAF-built ‘Nova 2’ on Manchester Airport to Glasgow/Edinburgh routes in 2019 and early 2020. ■ Just weeks ago, Caledonian Sleeper delayed the introduction of its new fleet of 75 carriages – also built by CAF – because of unspecified technical problems.